If you’ve got damaged and dead skin that’s causing you to look older than your years, you should learn about Pellevé®. Pellevé is a type of wrinkle reduction that's done in an entirely non-invasive way by deeply heating the skin and stimulating new collagen and elastin production. 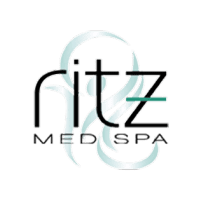 The providers at Ritz Med Spa in Franklin, Tennessee, can help you look younger and fresher quickly with easy outpatient sessions. Schedule your next session by calling Ritz Med Spa. Pellevé is a medical aesthetics treatment for skin problems such as facial lines, wrinkles, and folds. Pellevé uses radiofrequency energy to heat the deeper layers of skin, thereby prompting fresh collagen production and skin tightening. Pellevé is completely non-invasive and it requires no downtime making it one of the most popular solutions for aging skin today. How Does Pellevé Treatment Work? First, the Ritz Med Spa practitioner will apply a conductive gel to the treatment area. The gel has two purposes: it improves your comfort level and it helps the radiofrequency energy reach the target skin cells more effectively. A small hand held treatment wand is then applied to your skin, causing you to feel a deep warmth. Most patients find the warmth quite comfortable, but if you start to experience any discomfort just let your practitioner know and they can make changes to improve your comfort. When the radiofrequency energy reaches the deeper layers of your skin, the body is given a signal to make more collagen. This new collagen production will begin right away and will continue over the coming weeks. The entire treatment takes under an hour, and may be as short as 30 minutes. How Many Pellevé Sessions Do You Need? Most patients get the best benefit from three treatment sessions, but you may see some significant improvements after your very first session. Each treatment is planned about a month apart to allow time for new collagen growth. Does Pellevé Require Any Recovery Time? No. Pellevé requires no recovery time. Pellevé is able to access the deeper layers of skin to start the repair process without harming the top layer of skin in any way. The only real side effects may be minor issues like mild skin irritation and temporary swelling. These things will usually resolve within just hours, so you can go on with your day immediately. How Long Do the Effects of Pellevé Last? Most Pellevé patients still have good results at the six-month mark post treatment. To maintain your great results, Ritz Med Spa recommends that you schedule touch-up Pellevé sessions once or twice each year.